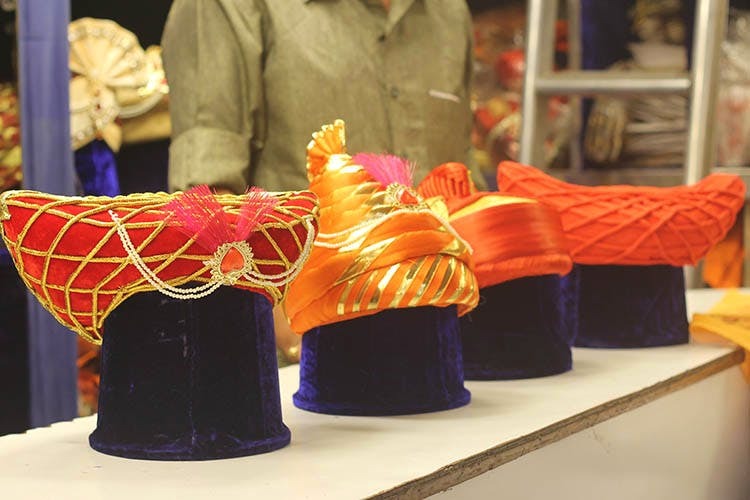 Murudkar Zendewale, Pune's Oldest Turban Shop, Sells Handmade Phetas & Made One For Prince Charles' Wedding! What started as a small hole-in-the wall business back in the year 1940, Murudkar Zendewale at Budhwar Peth, is today, Pune’s or perhaps, India’s one of the oldest and the biggest manufacturers of Marathi artifacts like handmade designer turbans, velvet asans, brass crowns for idols and traditional Maharashtrain attire. Started by social activist Shankar Murudkar, more than seven decades ago, the third generation of Murudkar Zendewale has transformed the family business from a mere shop selling Maharashtrain clothing material to a large-scale establishment that sells and delivers Puneri phetas, flags and badges all across the globe! What’s interesting is that the store has to its credit the honour of sending a traditional Maharahtrain pheta for the wedding of Prince Charles of London. Not just that! The representatives of the store traveled to the United States to display their range of work and introduce the world to the glorious Maharashtrain culture. So if it’s a wedding that is coming soon, head to Murudkar Zendewale for your one-stop shopping destination for the best turbans in town. Their famous hand-stitched silk Benarasi pheta, available in multiple colours and sizes, come for INR 3,900 a piece. For the groom’s men, the traditional phetas with subtle embroidery start from INR 1,200 onwards. We were quite fascinated with their range of designer turbans made of high-grade fabric and precious stones. They looked royal, by all means, and start from INR 10,000 onwards. Besides turbans, Murudkar Zendewale is known for selling Maharashtrain clothing items such as sarees, dhotis and uparnas, that are perfectly fit for any Marathi festival or occasion at your home. The store also sells badges and flags for political parties in the State.